Every year, on the instructions of NedTrain, HAGO cleans many tens of thousands of square meters of graffiti from the outside of trainsets. The graffiti on the interior of the trains differs from those on the outside. The latter is usually applied with spray cans. There is also use of paint bombs, with which 70 meters of train is covered in one blow. 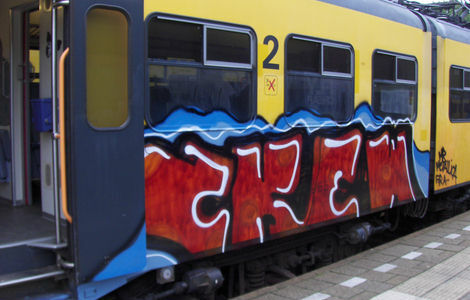 With the GRAFFITIGEL 221 RS (approved by various train builders and inspection authorities such as Deltarail) the exterior of the trains is made graffiti free. Regularly, the outside is also sprayed with tectyl. 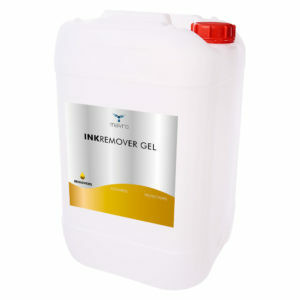 To remove this, the GRAFFITIREMOVER TECTYL GEL is used. In the interior, only markers and markers are generally used. In addition, there has been a new type of graffiti in recent years; Invisible Ink. This is graffiti based on silver nitrate. HAGO uses the INKREMOVER GEL to remove the normal pens and inks. MAVRO has been the partner for NedTrain for years in the field of graffiti management. GRAFFITIREMOVER TECTYL GEL je odstranjevalec tektila in drugih grafitov na osnovi olja in zemeljskega olja. Uporabljajo se tako za gladke kot tudi porozne površine. GRAFFITIREMOVER TECTYL GEL se lahko uporablja tudi na poroznih površinah, kjer se GRAFFITIREMOVER TECTYL GEL uporablja kot primer / predčistilo.